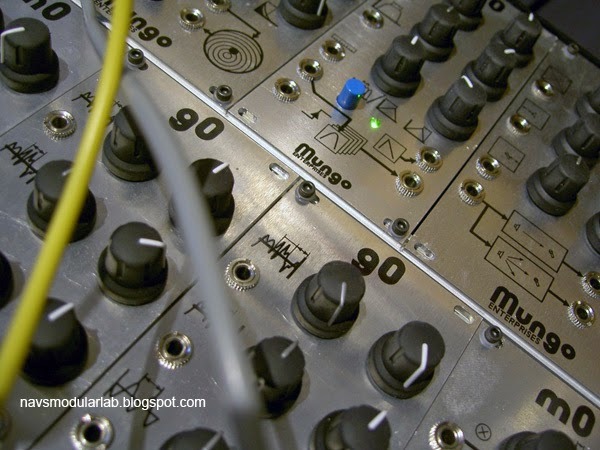 Recordings of some of the modules from the Mungo range. The demos are comprehensive, but if you want more you can buy the album for the full, unedited recordings (17 tracks, 45+ mins). The case contained the instruments lined up here as well as the p0 & r0 percussion and reverb modelling units. 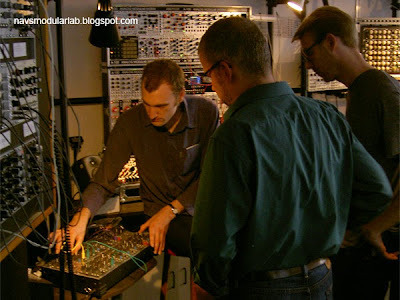 I was drawn to the w0 oscillator and the g0 granular sampler in particular, so there are more examples of those. For a primer on Mungo modules in use, read my post on the d0 here. If the d0 took some time to fathom, what to make of a case full of Mungo? Well, I took them one at a time, using modules from my main system to provide a control or familiar ground. Even seemingly simple modules like the mixer had me scratching my head. In general, I think more visual indicators would be helpful to clearly show the status of outputs and modes. And, depending on the module in question, the Zoom function can be a source of confusion. The massive range and detail offered might make them more suited to the studio than the stage. Patching takes patience but the payoff is full flexibility and excellent audio quality. A few words on the modules themselves: my interest in the g0 was real-time sampling and manipulation of blocks, rather than grains, of sound. In that sense, it's over-spec'd for me but the underlying technology means that the audio is smooth and clean. Of the modules in the case, this is the one I still pine for. I think John got a bit carried away with the hyperbole when describing the w0, but it really does combine a lot of features. It is digital, so factor in some filtering post FM. The f0 is nice if unspectacular but worth remembering that it too is digital and, as such, different. The m0 is the first EG/ VCA/ mixer combo I've had to use an oscilloscope to understand! The p0 percussion, v0 vocoder and r0 reverb are subtle instruments that require the detailed control offered by the Zoom function. Watch the official videos to get more ideas and information, including on the n0 noise module. Or, if you're in Berlin, you can try some of the modules at Schneidersladen. A belated thank you to those who came along to the Mungo workshop, Andreas Schneider and the Schneidersbüro staff for hosting us and to John for taking the time to explain the technology and ideas behind his unique designs!